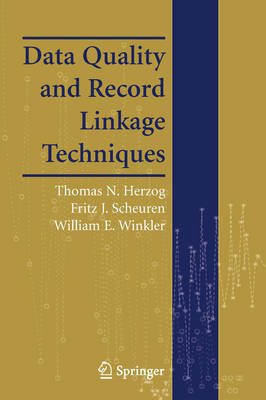 This book offers a practical understanding of issues involved in improving data quality through editing, imputation, and record linkage. The first part of the book deals with methods and models, focusing on the Fellegi-Holt edit-imputation model, the Little-Rubin multiple-imputation scheme, and the Fellegi-Sunter record linkage model. The second part presents case studies in which these techniques are applied in a variety of areas, including mortgage guarantee insurance, medical, biomedical, highway safety, and social insurance as well as the construction of list frames and administrative lists. This book offers a mixture of practical advice, mathematical rigor, management insight and philosophy.